Colorado Springs, Colorado -- The 2014 USA Basketball Men’s U18 National Team (1-0) built an early double-digit lead, went up 44-15 after the first quarter and cruised to a 156-58 victory over Uruguay (0-1) to open FIBA Americas U18 Championship play on Friday night at the U.S. Olympic Training Center in Colorado Springs, Colorado. The offensive showing set five USA records in FIBA Americas U18 Championship play, including USA team records for most points scored, largest margin of victory (98 points), most field goals made (59), most team assists (40), and most assists by an individual after Jalen Brunson (Adlai E. Stevenson H.S./Lincolnshire, Ill.) dished out 13. Further, Luke Kennard (Franklin H.S./Franklin, Ohio), who finished with a game-high 30 points after shooting 7-of-12 from 3-point range, tied the USA’s U18 record for most 3-point attempts. The USA squad, which had 10 players score in double digits, saw all 12 members score by halftime afterStanley Johnson (Mater Dei H.S./Fullerton, Calif.) threw down a rim-rattling dunk at the 2:40 mark of the second quarter. In addition to Kennard’s 30 points, the USA squad received 15 from Justise Winslow (St. John’s School/ Houston, Texas); Chase Jeter (Bishop Gorman H.S./Las Vegas, Nev.), Allonzo Trier (Montrose Christian/Seattle, Wash.) and Myles Turner (Trinity H.S./Bedford, Texas) each scored 14; Stephen Zimmerman (Bishop Gorman H.S./Las Vegas, Nev.) shot 6-of-7 from the field and finished with 13 points;Jaylen Brown (Wheeler H.S./Alpharetta, Ga.), Brunson and Johnson chipped in 11 points apiece; while Tyler Lydon (New Hampton School/Elizaville, N.Y.) added 10 points. 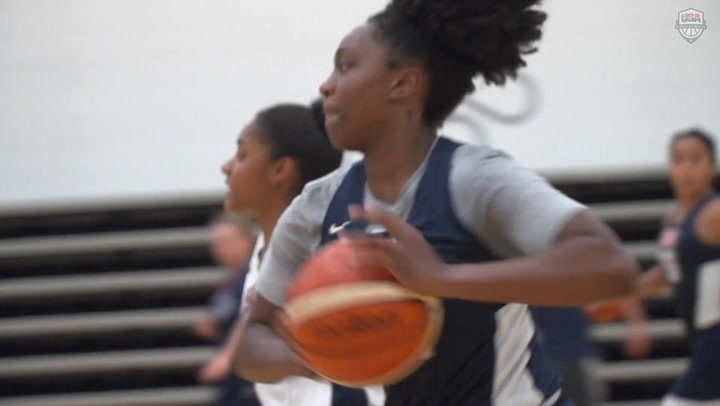 Lydon grabbed nine and Turner had eight of the USA’s 57 rebounds to help the North Americans outrebound their opponents 57-26, including a 19-5 margin on the offensive glass. Isaiah Briscoe (Roselle Catholic H.S./Union, N.J.) dished out nine assists, while Tyus Jones (Apple Valley H.S./Apple Valley, Minn.) passed off for six and Kennard had four. Further, Turner was credited for four blocked shots and Jones and Kennard picked off four steals apiece. Uruguay put up the first points and was ahead 5-2 early on, but a dunk by Turner at the 7:39 mark put the United States up for good, 6-5. Turner’s dunk spurred nine unanswered points that kick-started a 24-5 run that broke the game wide open, 28-10, with 3:35 still to play in the first quarter. Uruguay could not keep pace with the USA’s pressure defense and high-octane offense and by the time the first 10 minutes had expired, the lead was 44-15. There was no let-up in the second period as the score ballooned to 84-26 by halftime. The U.S. went on to outscore Uruguay 38-19 in the third quarter and 34-13 in the fourth. Martin Counago scored a team-high 13 points for Uruguay. In the tale of the tape, the USA scored 40 points off of 32 Uruguayan turnovers, while only giving up seven points on its 10 miscues; outscored Uruguay 86-20 in the paint, 16-2 on second-chance tries and 25-7 on the fast break. 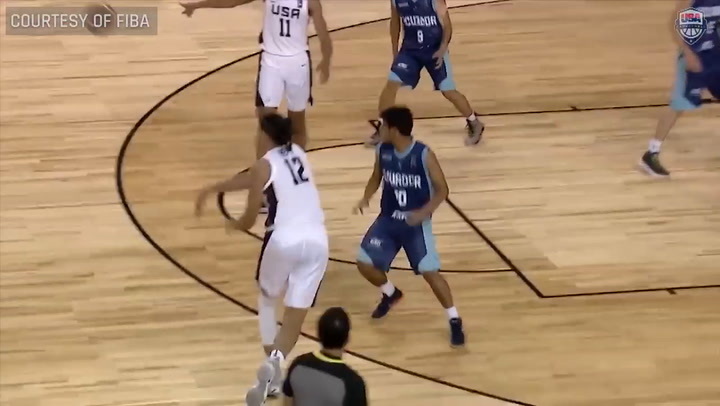 The USA, which received 95 points off its bench as compared to 31 from Uruguay, had 21 steals to Uruguay’s four. The red, white and blue shot a sizzling 62.8 percent (59-94 FGs) from the field and an even 50.0 percent (13-26 3pt FGs) from 3-point, while Uruguay hit 33.3 percent (21-63 FGs) from the field and 45.8 percent (11-24 3pt FGs) from beyond the arc. The win ups the USA’s overall record in FIBA Americas U18 Championship play to 44-2. The USA continues preliminary round play against Mexico (0-1) on June 21 (5:30 p.m. MDT / 7:30 EDT) and wraps up against Argentina (1-0) on June 22 (5:30 p.m. MDT / 7:30 EDT). The semifinals are scheduled for June 23 and the finals will be held June 24. All games are being streamed live online at fibaamericas.com and YouTube.com/FIBAAmericas. Not only is a gold medal at stake in this tournament, but the top four finishing teams will qualify for the 2015 FIBA U19 World Championship. In the other Group B contest today Argentina defeated Mexico 87-82, while in Group A, Canada (1-0) put away Brazil (0-1) 101-59 and the Dominican Republic (1-0) edged Puerto Rico (0-1) 74-72. The previous U.S. U18 marks were 143 points and 53 made field goals by the 1990 USA U18 squad versus Panama, a 76-point (114-38) margin of victory against Mexico in 2010, and 12 individual single-game assists after Stephon Marbury was credited for 12 versus Brazil at the 1994 FIBA Americas U18 Championship. Terry Dehere (1990, versus Panama) and Austin Rivers (2010, versus Canada) also attempted 12 from long range. Joining Donovan on the sideline as USA assistant coaches are collegiate head coaches Ed Cooley of Providence College and Sean Miller of the University of Arizona. Originally known as the FIBA Americas Junior World Championship Qualifier, the tournament was held every four years between 1990-2006. FIBA changed its calendar following the 2006 championship and the tournament is now conducted every other year, followed in the next summer by the FIBA U19 World Championship. Some of the top players to have suited up for the USA in the U18 zone championship include: Shareef Abdur-Rahim (1994); Carmelo Anthony (2002); Michael Beasley (2006); Chris Bosh (2002); Dee Brown (2002);Nick Collison (1998); Jonny Flynn (2006); Spencer Hawes (2006); Grant Hill (1990); Allan Houston (1990);Andre Iguodala (2002); Kyrie Irving (2010); Stephon Marbury (1994); Mike Miller (1998); Quentin Richardson (1998); Austin Rivers (2010); Kyle Singler (2006); Marcus Smart (2012); Jarnell Stokes (2012);Rasheed Sulaimon (2012); Kemba Walker (2008); and Deron Williams (2002). 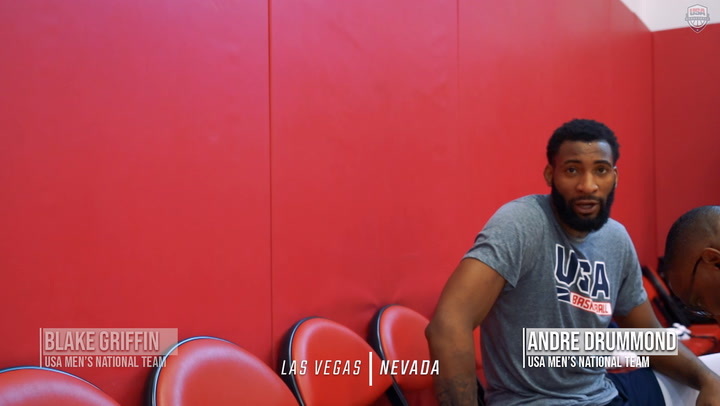 Competing against the USA at the U18s have been notable internationals such as: Leandro Barbosa (Brazil) in 1994; Jose Barea (Puerto Rico) in 2002; Gregory Echenique (Venezuela) in 2008; Juan Fernandez(Argentina) in 2008; Todd MacCulloch (Canada) in 1994; Jamal Magloire (Canada) in 1994; Raul Neto (Brazil) in 2010; Peter Ramos (Puerto Rico) in 2002; Luis Scola (Argentina) in 1998; Tiago Splitter (Brazil) in 2002;Andrew Wiggins (Canada) in 2012; and Jesse Young (Canada) in 1998. Based in Colorado Springs, Colo., USA Basketball, chaired by Jerry Colangelo, is a nonprofit organization and the national governing body for men’s and women’s basketball in the United States. As the recognized governing body for basketball in the U.S. by the International Basketball Federation (FIBA) and the United States Olympic Committee (USOC), USA Basketball is responsible for the selection, training and fielding of USA teams that compete in FIBA-sponsored international competitions, as well as for some national competitions. USA Basketball men’s and women’s teams between 2009-12 compiled an impressive 262-35 win-loss record in FIBA and FIBA Americas competitions, the Pan American Games, the World University Games, the Nike Hoop Summit and in exhibition games. 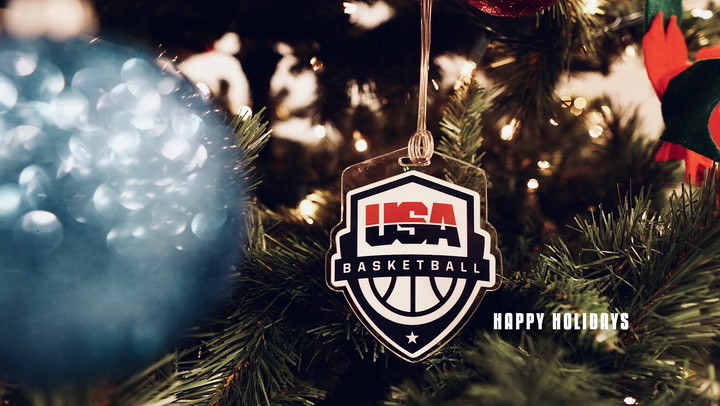 USA teams are the current men’s and women’s champions in the Olympics; men’s and women’s FIBA World Championships (Basketball World Cup); men’s and women’s FIBA U19 and U17 World Championships; men’s and women’s U18 and U16 FIBA Americas Championships; the FIBA 3x3 Women’s World Championship; and the FIBA 3x3 Women’s U18 World Championship. USA Basketball currently ranks No. 1 in all five of FIBA’s world-ranking categories, including combined, men’s, women’s, boys and girls.